Please see this Flyer for our 2018 tour to the United Kingdom. 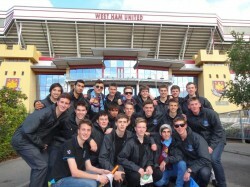 The 2012 UK Football Tour took place at the end of 3rd Term. 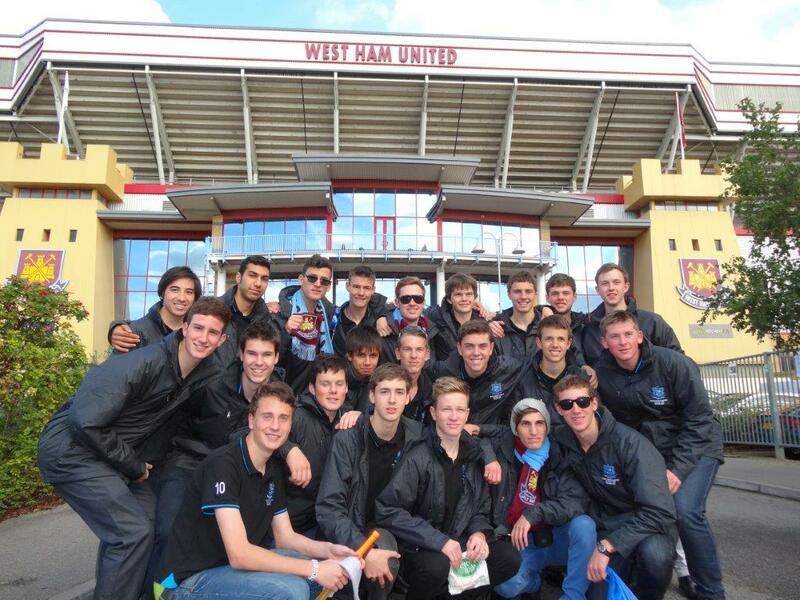 Twenty-two boys spent two weeks touring the United Kingdom, with a two-night stopover in Paris, playing football and sight seeing. They visited the Louvre, Notre Dame Cathedral and the Eiffel Tower in Paris and then caught the Eurostar to England and made their way to Bath via Canterbury, Brighton, Southhampton and Stonehenge, visiting Bodium Castle at Robertsbridge on the way. They spent three nights in Bath before making their way to Milton Keys, where they stayed while they attended two Premier League games - West Ham United v Arsenal at Upton Park on Saturday, and Newcastle v Manchester United in Newcastle on Sunday. The next stop was Oxford, where they played St. Clare's School, visited Christ Church College and walked around taking in the atmosphere of Oxford. The last four nights were spent in London, staying at the Thameside Youth Hostel. Here they got a chance to mix with peers from different countries. The boys visited many of London's attractions including a tour of Emirates Stadium (Arsenal's home ground). Shopping and a West End play, "We Will Rock You", were also on the agenda. The school teams they played were St. Clare's in Oxford, Tonbridge School in Kent, Bridgewater College in Somerset and Brentwood School in Essex. Last updated 25 August 2017.